In a terrifying announcement, Monsanto has agreed to be sold to Bayer for $56.5 billion. In truth, the deal is actually worth $66 billion since the German company will have to pay off Monsanto’s debt (1). Combined, they would become the largest seeds and chemicals company in the world. Most terrifyingly, the new company would be the largest agribusiness on the planet, selling 29 percent of the world’s seeds and 24 percent of its pesticides (2). Although both parties have struck a deal, it cannot go through until it’s been approved by regulators. This sale is controversial since Monsanto has often been criticized for its blatant human rights violations. Its most well-known product, glyphosate, has been banned from multiple countries over health concerns. What’s more, the company has also filed lawsuits to prevent GMO labeling and paid millions to hide research questioning the safety of glyphosate. While Monsanto is the better-known half of the deal, Bayer is no small corporations (3). The companies have $26 billion in combined annual revenue from agriculture products alone. They also have similarly awful histories. For example, Bayer famously introduced heroin as a cough remedy in 1896, and aspirin in 1899. Monsanto, on the other hand, has been feeding the population with harmful additives and foods whilst having full knowledge of their horrible side effects. While the German company is best known for its pharmaceutical products, Bayer also has an agriculture unit that focuses on herbicides and insecticides. In response, both companies argue that their interests do not overlap, as Monsanto focuses on seeds and biology, Bayer on chemicals. However, Jack Kaskey of Bloomberg points out that this merger would allow the new company to control 70 percent of cottonseed sales in the United States. Some argue that the deal could mean a corporate monopoly. The merge could also mean less competition, lower standards, and fewer agricultural opportunities for underserved markets. Plus, while Bayer might only keep its financial interests in mind, the German people probably won’t stand behind them. In fact, in Germany and elsewhere in Europe, citizens have famously mistrusted GMO crops and have pushed new laws to ban pesticide use. As a chemical company, Bayer has some pretty big skeletons in its closet. 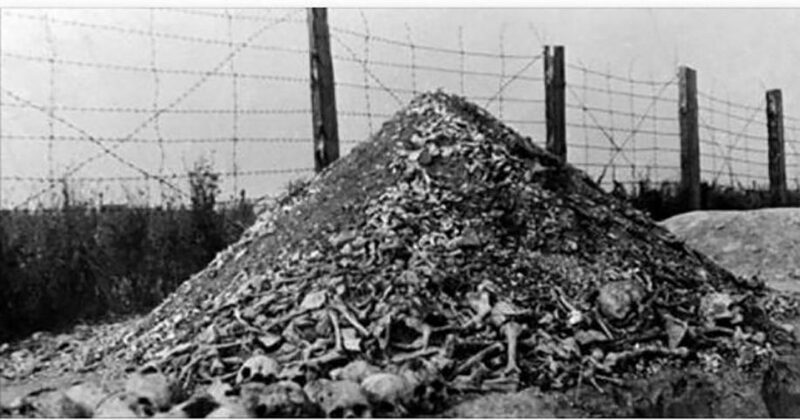 For one, the firm supplied Auschwitz with poisonous gas as a part of the Holocaust. They also supplied the Methanol used to burn the corpses of its prisoners (4). In fact, the Chairman of the Board at Bayer form 1956-1966 had been convicted of slavery, mass murder, and crimes against humanity at the Nuremberg trials. He only served 5 years in prison for his war crimes (5). High-level Bayer officials also architected Codex, a committee that sets standards and guidelines for vitamin and mineral food supplements; health claims; organic foods; genetically modified foods; food labeling; advertising; food additives and pesticide residues. Codex protects the interests of the pharmaceutical industry, agricultural industry, and healthcare systems. The organization is currently attempting to lax organic farming rules to allow the use of carcinogenic chemicals and allergens as well as other questionable substances. In the twentieth century alone, Bayer sold a hemophilia drug called Factor VIII, which turned out to be infected with HIV. Once they discovered the contamination, the drug was still sold in Asia and Latin America even though a safe product was available. Bayer has also been accused of unethical billing practices on Medicaid program, has faced wrongful death lawsuits for Yaz and Yasmin brand birth control and wrongful death lawsuits for Trasylol, a drug that was later banned in 2006. A much younger company, Monsanto isn’t all smiles and roses either. The company’s first product was the artificial sweetener Saccharin, which Monsanto sold to the Coca-Cola Company (6,7). They later founded and incorporated the town of Monsanto to set their own low taxes and threw environmental rules out the window. For a while, Monsanto was the largest producer of polychlorinated biphenyls (PCBs). Monsanto knew these products were incredibly dangerous to human health but concealed what they knew because they “couldn’t afford to lose business”. They later manufactured the controversial DDT. World War II to help develop the atom bomb. They later produced Agent Orange, who is so toxic, that its effects are still being felt today. Monsanto has also concealed the brain-tumor connection to aspartame, defeated Proposition 65 and Proposition 128. The first aimed to prohibit the discharge of chemicals known to cause cancer or birth defects into drinking water supplies while the second aimed to restrict pesticide use in California. Later on, Monsanto was fined $1.2 million for trying to conceal discharge of contaminated waste water into the Mystic River in Connecticut. They eventually ranked 5th among U.S. corporations in EPA’s Toxic Release Inventory, having discharged 37 million pounds of toxic chemicals into the air, land, water and underground. Former Monsanto lobbyist Michael R. Taylor was later appointed as Deputy Commissioner of Food Safety at the FDA. Both companies have a rough history when it comes to their human rights track record. Time and time again, their greed for money has caused sickness, pain, and death on a massive scale. What’s more, if Bayer and Monsanto merge, it would violate the Clayton Act and would also be in direct violation of a 2008 court order. In mid-October, Monsanto will be facing a tribunal to address their crimes against humanity in The Hague, Netherlands. Critics of the deal argue that if the merger goes through, it will drive up prices for farmers and increase the spread of genetically modified seeds. Already, in the last few years, the global agricultural economy has been slumping, and farmers have had to spread their finances thin to keep their businesses running. 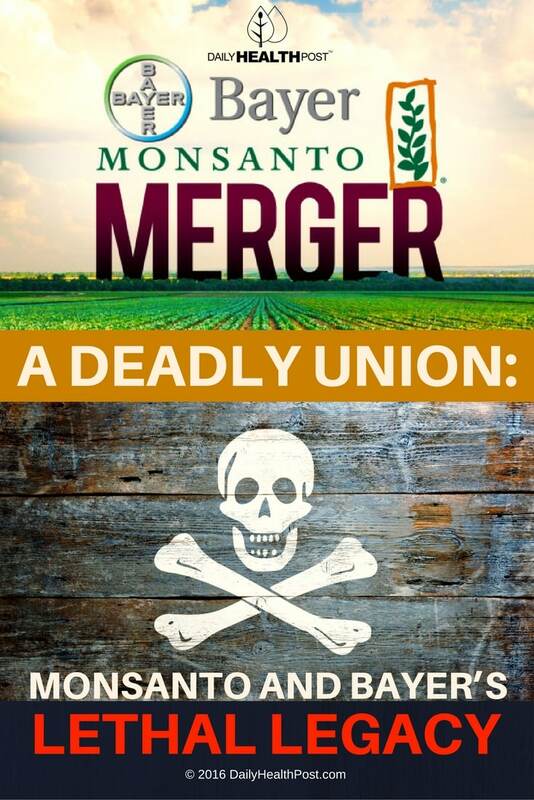 The merger may also attract the attention of other super-merged companies like ChemChina-Syngenta and DowDupont, which will collectively control (along with Bayer-Monsanto) 59 percent of the world’s patented seeds and 64 percent of all pesticides. This the deal goes down, it could lead to a serious change to the way our food is grown and distributed, as well as the way we receive medical care. Luckily, the U.S. Department of Justice has been harsher in scrutinizing agribusiness mergers. It even halted a merger between Monsanto and John Deer, which would have lead to owning 86 percent of the market in planting technologies.